Goa got its first mention on the global map when the Portuguese explorer, Alfonso de Albuquerque conquered it in 1510. Thereafter, Goa became the center of the vast Eastern Portuguese Empire, enjoying same privileges as Lisbon. The territory remained under Portuguese rule until 1961. Unfortunately for the city, most of Asia started getting European attention and by 1635, successive waves of European influx in other areas led to the decline of Goa. 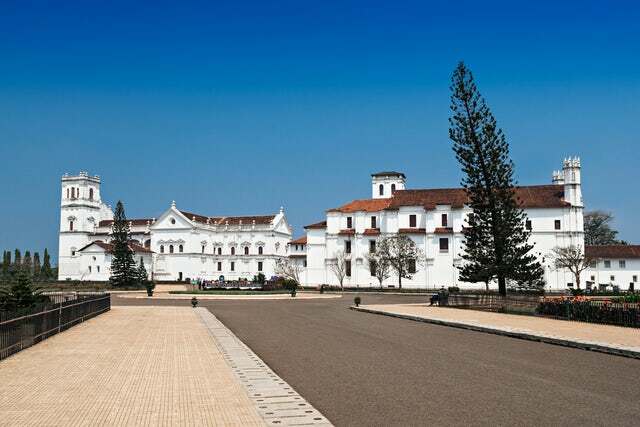 In 1542, Jesuits that were running away from the crusaders in Europe arrived in the city with Francis Xavier, being one of the founders of Society of Jesus, becoming the patron saint of Goa. Faced by the small number of Jesuits in the region, the Jesuit settler community embarked on building a vast network of churches that were built to awe the local populace into conversion. They were built to show the superiority of foreign religion. With towering lofty facades, interiors featuring Bernini columns and decorated pediments, carved and gilded altars as well as colorful wall paintings and frescoes; the churches are indeed beautiful. The Se Cathedral – This features Tuscan exterior, Corinthian columns and a raised platform that leads to its entrance. It also has a barrel vault that points to the Renaissance architecture. The Church of St Cajetan - make sure you take a look at its façade. It is decorated with lonic, Doric, and Corinthian pilasters. There are other monuments that are either in complete or partial ruins. A visit to this UNESCO World Heritage Site will take you back to the 17th century spread of Christianity in Asia.